Build Whatever You Imagine from Whatever You Harvest! Humans are a creative species. Give one a pile of dirt, and he'll make something out of it in due time. It is proof that we are not brainless blockheads, but intelligent beings. That is precisely why The Blockheads need our help! Lost in a vast cubic world with only the clothes on their backs, it will be your job to help these people reach their full potential through the very act of creation itself. The world of The Blockheads may seem empty and desolate, but it won't be for long. Through simple intuition, you can use the landscape as a canvas to create something truly special. Harvest dirt, wood, sand, stone and metal from the environment. Craft a vast array of tools like spades, pickaxes, machetes, bows and more. Bring you imagination to life. Build houses, castles, towers and everything else you can envision. Work your way up to the sky, or dig deep underground. Building is all well and good, but even Blockheads need to eat. Take good care of them, and they'll turn your vision into a reality. Hunt, gather and cook food. Set up a safe shelter to rest in for the night. Get more Blockheads and improve their productivity. 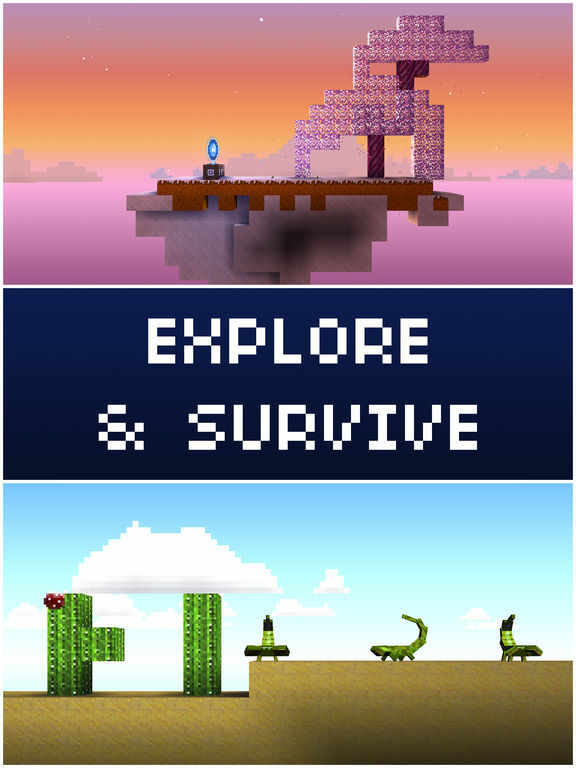 The Blockheads is the go-to app for gamers that are just bursting with creativity. If you've got a hankering to start doing some serious world-building, get this app right now and start digging! The unexpected debut of Minecraft opened many new doors in the world of gaming. It combined survival gameplay with a Lego-like playset to create something very unique that players of all ages could enjoy. However, that didn't last long, for its success could only mean one thing: a wave ofcopycats ready to flood the market. 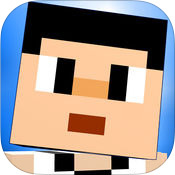 The Blockheads is one such game, shamelessly borrowing nearly everything that Minecraft has to offer, down to its cubic art style and blocky people. Does that mean it's bad? Absolutely not; on the contrary, The Blockheads is a decent imitator that arguably improves a couple key areas of the formula to make it a better experience on a mobile platform. It's also free to play, which makes it a tempting alternative. Unfortunately, the cost will be passed onto you in ways that seriously compromise its quality. If you've ever played Minecraft or seen it in action, then you should know what to expect in The Blockheads. Taking control of a person appropriately referred to as a Blockhead, you're deposited in a world of blocks that you're free to harvest, rearrange and stack up in whatever way you choose. You start out with your hands, which can collect a few simple materials, but if you want to get the more advanced stuff, you'll need to acquire a collection of handy tools first. To that end, The Blockheads boasts a pretty robust crafting system. From what sparse resources you gather by hand from the environment, you can craft some simple tools like a flint spade that makes digging through dirt easier, a flint pickaxe to swiftly mine stone, a flint machete to chop off branches from a tree, and so on. With tools, you can gather better resources, use those to craft even better tools, harvest more exotic resources with them, and so on and so forth. You can also take the materials you gather and convert them to other things, like wooden planks, clay bricks and beds, which gives you nearly endless ways to reshape the world or build your dream house. With enough time and patience, you can make some really amazing things. That's the basic gist of both Minecraft and The Blockheads, and both allow for some extensive exploration of the world as you journey across the land or beneath the earth seeking out more raw materials. The biggest notable difference between the two is that while Minecraft is a three-dimensional game, The Blockheads is a 2D side-scroller. This eases things up considerably and allows for a simplified point-and-click control scheme that works really well. A screen tap will allow your blockhead to walk, dig, climb, harvest or build at your digression. In some ways, the simplicity of the controls makes for a less tedious experience than Minecraft. Navigating through the world on a touchscreen is much easier this way, and you'll have a better time placing your blocks precisely where you want them to go. Unfortunately, not every change The Blockheads makes is an overall improvement. Both it and Minecraft boast survival gameplay, but to that end, they emphasize different things. Minecraft populates its world with all manner of deadly critters looking to make a meal out of your avatar, while The Blockheads requires your avatars to make meals for themselves. To keep your Blockhead happy and productive, you need to make sure they're well-fed and well-rested. Otherwise, they'll work slowly or outright refuse to do what you tell them. While this might add a new layer of strategy to the formula, it's really just busywork that forces you to pause your progress and baby-sit your character. Minecraft may not have the most engaging combat, but devising new weapons, tools and techniques to fight the monsters impeding you is a lot more exciting than watching a guy take a nap. In fact, busywork is a recurring problem in The Blockheads. Your inventory is very limited, and while you can expand it via baskets, it's clunky and hard to see everything you're carrying at once. You can alleviate some of the pressure by getting more Blockheads to serve as pack mules and do additional tasks, but that really just adds more headaches for you to deal with. However, the biggest issue The Blockheads suffers from is how it wastes your time. Crafting takes time in this game, unlike in Minecraft where it's instantaneous. True to the app's freemium nature, it uses this built-in nuisance to motivate you into buying items meant to speed things along. It's not nearly as bad as it is in most mobile games, but it's still irritating. The Blockheads has enough waiting as it is, considering how slow the eponymous people take to get anywhere. With The Blockheads, you're getting what you pay for. 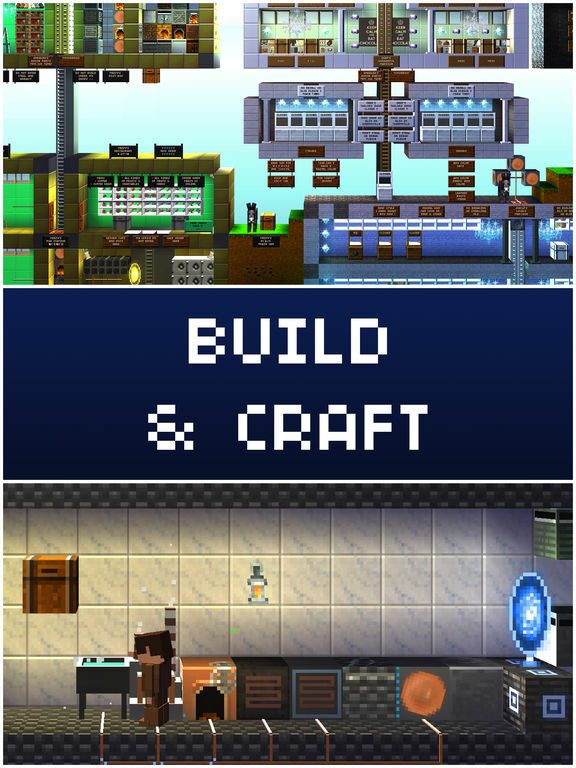 Unlike Minecraft Pocket Edition, you can play it for free, but it's a much less complete package with more annoyances that make it less fun overall. A little extra money can cut down on that in some capacity, but if you're going to spend money on this app, why aren't you just buying Mojang's masterpiece instead? Try it out if you're curious, or if you're really hungry for a more economical Minecraft-like experience, but curb your expectations.